Can I Learn How to Heal? Anyone can learn Reiki. Can YOU learn Reiki? YES! Reiki is a form of energetic healing that absolutely ANYONE can learn even online! It is a method of learning, first and foremost, how to heal yourself. By learning to powerfully release trauma (physical or emotional) from your past that is burdening you, you are able to feel much lighter, happier and free to do the things that you never thought you could possibly do. Reiki works by releasing layers of stuck energy from your auric field, chakra system, meridian system or the physical body. Stuck energy in the physical body is often found in the area of the joints such as knees, elbows, hips, ankles and along the spine. Reiki works on a cellular level to help align and balance your energy centers so that you can become the best and most brilliant version of yourself! The fourth class is the teacher training level. All students at this level have the option to co-teach a class with Reece in addition to receiving all business materials for starting your own Reiki training program. Some Student Teachers opt to join a retreat course so that they can complete co-teaching all three levels in a retreat setting. Students opting to not co-teach pay $315 for this Level. Students opting to co-teach pay $500. Reiki is a wonderful compliment for other healing modality practitioners such as Yoga instructors, Acupuncturists, Massage Therapists, M.D's, Psychotherapists, etc, but it is also great for one beginning their journey into spirituality or the healing arts field. Anyone can learn Reiki - all you need is the courage to sign up! 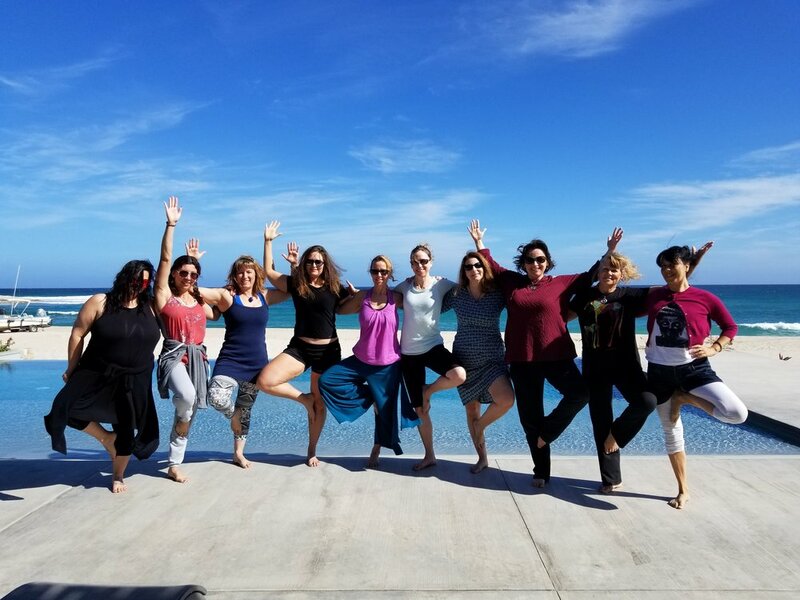 Classes are set up to teach students of all levels and knowledge bases to learn together cohesively in a very fun and healing learning environment. Online classes include several videos, audio files, homework and a some quizzes. Many people experience a deeper "awakening" of themselves and consider it to be a life shifting class! Why Choose Reece Leonetti as your Instructor? Reece has been teaching Reiki for more than 16 years. She has her Master's Degree in Oriental Medicine and loves to incorporate information in classes not only on traditional Usui Reiki but also provides an in-depth knowledge on the Meridian & Chakra Systems, how to powerfully protect your own energy field if you are sensitive to absorbing others energies, and being an empath herself is incredibly intuitive. Teaching Reiki and leading retreats are her passion in life and she looks forward to being your guide on this beautiful Reiki journey! Any specific questions regarding registration or the class structure please email Reece at reece@reikireece.com.